Butek Landline has vast experience in water storage solutions and particularly drinking water reservoir lining. We regularly work with water authorities and utilities companies both in the UK and worldwide. We specialise in service reservoir refurbishment and enhancement, and have the design capability, manufacturing capacity and installation teams to undertake reservoir lining, baffle curtain and floating cover projects. We work on a design and build, partnering or preferred contractor basis, or on a term, framework or single contract basis. The company offers single source responsibility, and is able to provide insurance-backed warranties and term maintenance agreements on much of its work. Butek Landline is a CITB registered company. Watch our short YouTube clip of the latest service reservoir refurbishment project in St. Helena, Ascension Islands here . Our experienced engineers and technicians are able to provide geomembrane waterproofing systems to suit specific site applications. Geomembrane systems are fully welded and tested; and may be designed to include geotextile protection and geocomposite drainage layers. We also undertake roof condition surveys, construction joint overbanding, perimeter and lateral drainage works and backfill placement. Water testing and leak detection surveys can be performed on the completed waterproofing works. 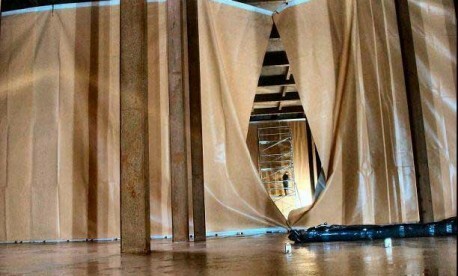 Baffle curtains are a cost-effective method of controlling water movement in service reservoirs, contact tanks and open raw water storage reservoirs. Baffle curtains increase reservoir retention time, assist flow segregation, enhance sediment drop-out, and eliminate surface water skimming and stagnation. Additionally, they can improve chemical mixing and therefore make it possible for reduced chlorination. Baffle curtains in drinking water applications must be manufactured from membranes that are approved by the Drinking Water Inspectorate (DWI). We offer DWI approved geomembranes for such applications. Curtains are manufactured in our UK factory under clean, controlled conditions. All welds are tested in accordance with our ISO 9001 quality management system. 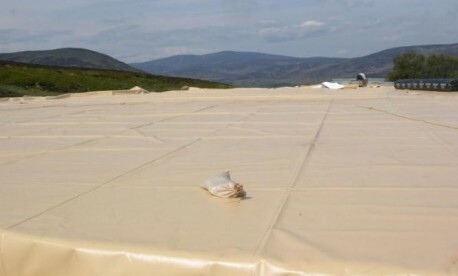 Floating covers eliminate algae growth and contamination from airborne pollutants. They reduce evaporation losses and assist in temperature stabilisation. Covers may be modular or may fully encapsulate the upper surface of the reservoir by being mechanically fixed and sealed around the perimeter. They can be designed to cater for fluctuating water levels, rainwater drainage, and routine access. 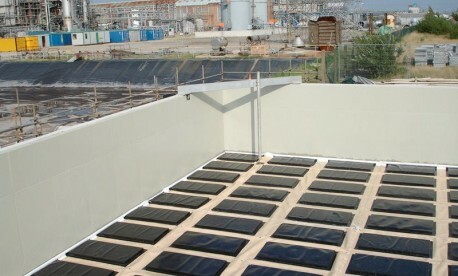 Floating covers in drinking water applications must be manufactured from membranes that are approved by the Drinking Water Inspectorate (DWI). We offer DWI approved geomembranes for such applications. The material offers high dimensional stability, flexibility and mechanical strength characteristics enabling the most stringent design criteria to be met. Covers are manufactured in our UK factory under clean and controlled conditions. All welds are tested in accordance with our ISO 9001 quality management system. Experienced full time field crews perform all reservoir waterproofing, baffle curtain and floating cover installation work. Our directly employed skilled technicians are CSCS and National Water Hygiene card holders, TWI welding certified, trained to work in confined spaces, and possess medical certification for working in a potable water environment.